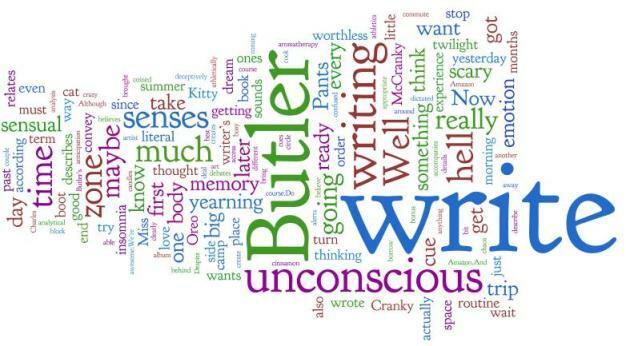 Despite all his talk about writing from the unconscious, Butler believes a writer should prepare before sitting down to write a novel. So, does he want you to outline? Plot boards, Excel spreadsheets, synopses? Dreamstorm a scene from something sensual, by making a list of words, having some sort of sense impression attached to it with the briefest identifier of that scene. Do this for a whole bunch of scenes. It doesn’t matter at this point if two scenes contradict each other. After eight to twelve weeks (yes, really), Butler suggests the next stage is to write a phrase identifying the scene on a 3 X 5 card. Actually, what he means is the scenes will eventually fall into an order that works for the story. You start with the best point of attack, Then select a few more follow-up scenes to write. after you write those scenes, you look at the remaining ones. You may need to rearrange or dreamstorm new scenes based on what you’ve written. He doesn’t like the idea of writing out of order. If you start writing a scene without any previous context, he believes you’ll lose the unconscious aspect of it. You end up creating ideas as to why the scene is happening rather than dreamstorming them. At some point you type: The End. In all seriousness, I am all over the index card idea. You can do anything with index cards. Miss B can create a whole cityscape with inhabitants and pets with index cards. The very least I can do is write a novel. I would say that of the three fundamentals of fiction, there are two that aspiring writers never miss: first, that fiction is about human beings; second, that it’s about human emotion. Even when fiction writers are writing from their heads, abstracting and analyzing, they’re mostly analyzing emotions; so even if they’re not getting at the essence of emotion, they’re trying to. But the third element, which is missing from virtually every student manuscript I’ve seen, has to do with the phenomenon of desire. By which he doesn’t mean romantic desire (although I suppose it could). Yearning is always part of the fictional character. In fact, one way to understand plot is that it represents the dynamics of desire. He goes on to state that you can have a story rich in character, conflict, problems, attitude and so on, and totally miss the desire boat. And if that ship sails without you, you pretty much don’t have a story. His main argument is essentially that this type of writing uses generalizations and abstractions and that what readers do is fill in the blanks left by those abstractions. I’m neither here nor there with this argument, although I know it upsets some writers greatly. There’s some great genre fiction out there and some pretty crappy literary fiction. I also find some “entertainment fiction” far from entertaining and some literary fiction utterly absorbing. I don’t know art, but I know what I like? What else can you say? So, genre wars aside, yearning is a concept that you can apply to any type of writing. I decree it so. So today I thought we’d review what we’ve learned so far thanks to Robert Olen Butler. But instead of actually writing something, I thought I’d let the Internet do it for me. Just think of how close we are to the day where we won’t have to write our own blog posts! Summary brought to you by Wordle. Now that we’ve left boot camp and hell (bonus side trip! ), we get to enter the zone. If you’re familiar with the term re: athletics, Butler uses it much the same way. It’s muscle memory, only for writing, it’s dream space or sense memory. You perform (or write) without thinking. It’s all from the unconscious. So, cue the music: Y’all ready for dis? But getting into the zone is difficult. We don’t want to go there in the first place (hell, remember? ), so NOT going there is far more tempting than actually going there. Until we actually get there, that is. Because when you’re writing in the zone, it’s great. You’re on the literary equivalent to a runner’s high. 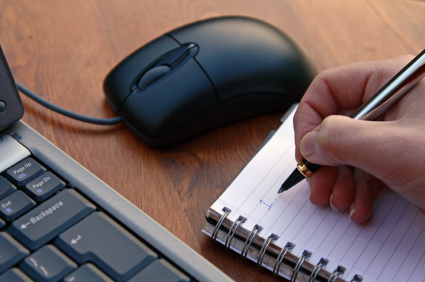 You may not be ready to write yet, but when you’re in a project you must write every day. You cannot write just on weekends. You cannot write this week and not next; you can’t wait for the summer to write. You can’t skip the summer and wait till the fall. You have to write every day. You cannot do it any other way. Have I said this strongly enough? So … is he saying we should write every day? He suggests writing in the morning (going from one dream space to another), but most importantly, using something–a cue, a routine, anything that says: I’m writing now. This alerts your imagination that it’s time to get busy. So, light your aromatherapy candles, cue up your Yanni album to track three, and set your word processor’s font to GirlyGirl. Whatever works. Although Butler isn’t talking about pampering so much as routine. He relates how he wrote four of his novels on his train commute from Long Island to Manhattan and had a terrible time when he moved to Lake Charles, LA during the middle of his fifth novel. Butler also talks about what happens when you don’t write. Unlike a lot of writing gurus, he does believe writer’s block can happen. Again, unconscious = scary place = no writing. You know something is off, you try to write, but you’re thinking too much and nothing’s there. He relates it to having insomnia. I’ve coined the term “writer’s insomnia” and I think it perfectly describes the state. I know I should write; I really want to write. I try to write. Butler describes the self-loathing that accompanies this: you’re both a worthless human being and a worthless writer. If this is the only message I take away from this course, it will have been worth it. Because I’ve been Cranky McCranky Pants for the past couple of months. It sounds crazy to have a book sale, with that book coming out in eight months, and not be able to write. But there you have it. I’ll spare you my self-loathing. The remedy is deceptively simple. You write. Sure, it’s scary, and there’s all those side trips Butler wants you to take. But in the end, you-to borrow an overused but athletically appropriate phrase-just do it. Despite what I wrote yesterday, Butler really wants to be your friend. He does! He loves you! Butler’s premise is this: to create art, we must write from the unconscious. We cannot think–as in analytical thought. We have to turn off that self-conscious inner voice that’s going all the time. Do you narrate your own life? Well, stop it. If the artist sees the chaos of experience and feels order behind it and creates objects to express that order, surely that is reassuring, right? Well, at some point, maybe. But what do you have to do first? And why is it so hard? This is why-and this is why virtually all inexperienced writers end up in their heads instead of the unconscious: because the unconscious is scary as hell. It is hell for many of us. So, the first stop on our Butler tour was boot camp. Now we’re in hell. Nice. But why is writing from the unconscious so important? Well, according to Butler, you access your sensual memories rather than your literal ones that way. Write a big honking lie, but write from the unconscious, from emotion and the senses, and everyone thinks it’s true to life. Sensual reaction: inside our body, such as body temperature, heartbeat, throwing up a little in your mouth, and so on. Sensual response: what we send outside our body: posture, gestures, facial tics. Any YouTube of the presidential debates would make an excellent primer for this. Experiences of emotion: flashes from the past, not so much analysis as impressions, waking dreams. Flashes of the future: essentially anticipation, yearning (more on yearning later; Butler is big on yearning). Sensual selectivity: we have to select which senses to convey in a story, since at any one time, we experience thousands of sensual cues. In other words, we don’t want the kitchen sink of details flooding our stories. How do you pick which ones to convey? Well, by emotion, of course. Do you feel like we’ve just traveled around in a big circle? I think maybe yes. But that’s okay, it’s gets us ready for our trip into the (twilight) zone. More on that later.